Go to your inbox and open the email with the landlord's request. 2. 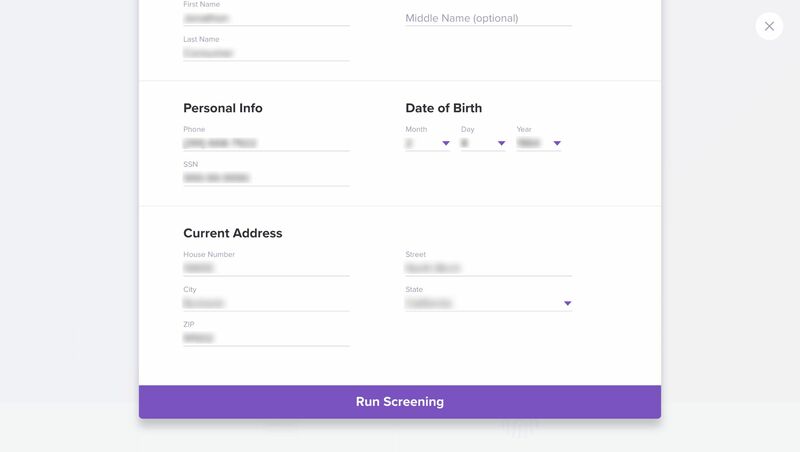 Click on the 'Run Screening'. 3. Click on the 'Start Screening' button to start. 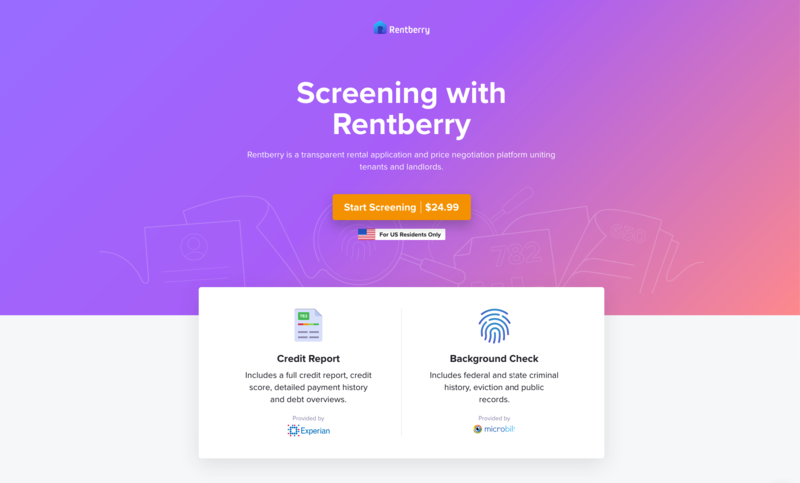 Rentberry offers the cheapest screening on the globe. The whole process of background check and credit report generation will cost only $24.99. 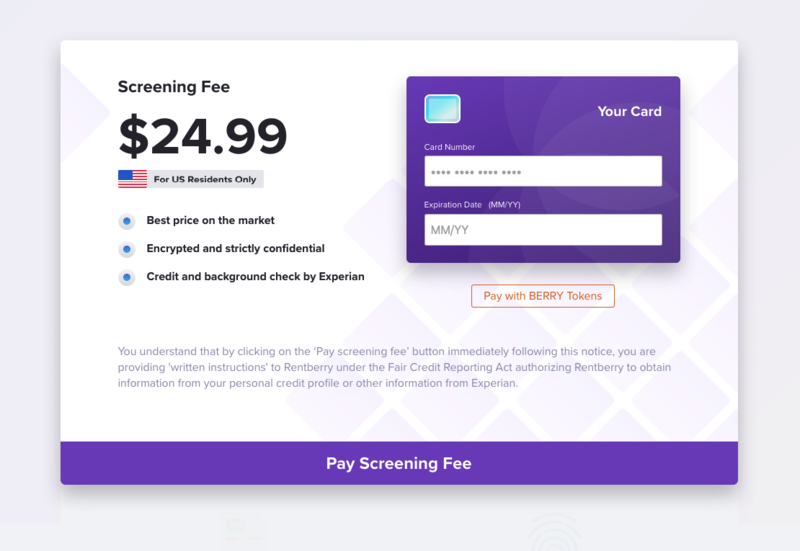 Keep in mind: paying with BERRY is always cheaper. 1. Fill in your Credit Card/Debit Card number, expiration date and click the 'Pay Screening Fee' button. 2. Fill in your personal data, phone number, social security number and address to proceed. Note: We don't store anything on our servers, the screening process is performed by the world-renowned companies – MicroBilt and Experian. 3. 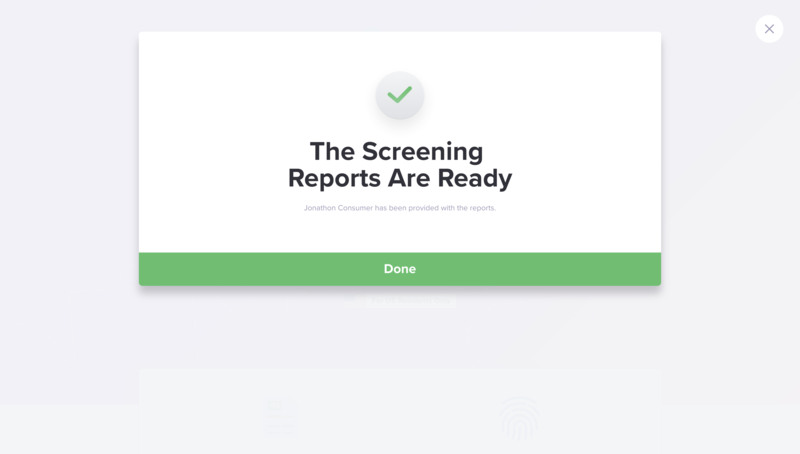 Click the 'Run Screening' button to generate your reports and send them to your landlord. Congratulations! Your landlord receives the reports instantly and will be able to review them right away, so stay in touch with him! 1. Copy the wallet address from the bill you see on the screen. Note: You only have 10 minutes before the bill expiration. Once it's expired, you need to generate new one and proceed with the payment. 2. Go to your BERRY wallet. 3. 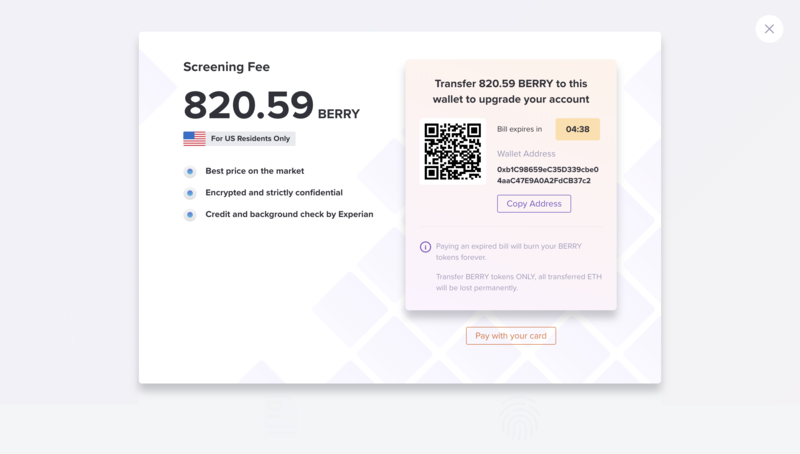 Transfer the requested BERRY token price to the wallet on the bill. 4. 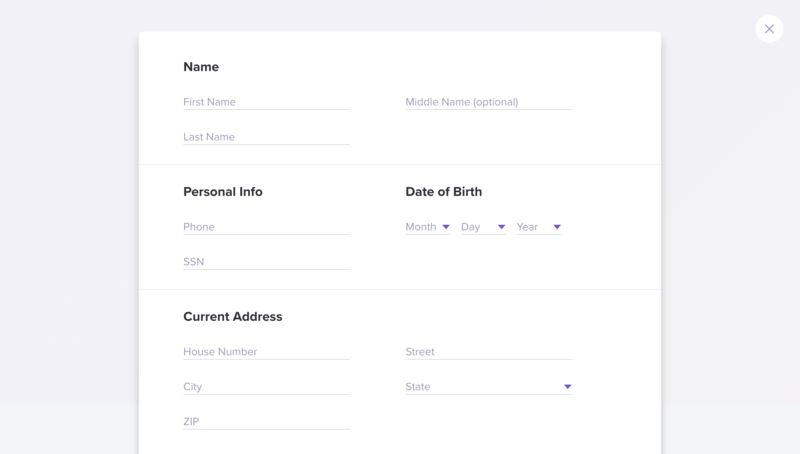 Fill in your personal data, phone number, social security number and address to proceed.